What’s the Difference Between a Distribution Centre & Warehouse? Learn the differences between a warehouse & a distribution centre, plus discover which storage facilities & services are best suited to your business needs. At some point, most business owners will come across these two terms to describe a large storage facility without having the differences between them explained. Admittedly, they do seem similar: both involve large undercover areas that house the products and goods of businesses prior to their sale. It doesn’t help that even within the storage and distribution industry there are those who believe the two are exactly the same, arguing that “distribution centre” is the new business-jargon name for a warehouse. However, there are a couple of significant differences between distribution centres and warehouses that mean that one may better meet the storage solution needs of your business than the other. Therefore when researching online, it is always a good idea to look at the services offered by each facility to determine whether it is a warehouse or distribution centre and if it is suitable for your business needs. Primarily, a distribution centre is for the short-term storage of inventory prior to its shipment to retailers, wholesalers or customers. Stock is constantly being moved throughout the facility where it is received, used to fill orders and shipped out. Distribution centres are demand-driven and are set up to be able to send goods to customers as quickly as possible. Due to this characteristic, businesses generally only store finished products in distribution centres, finding other places to stock their raw materials and intermediate goods. These centres are positioned close to the final customers or retailers, allowing for quick delivery and customer-oriented logistics. One of the key benefits of distribution centres is that they are usually fitted with all the latest processing systems and include a variety of value adding services. For example, some distribution centres offer order processing services, package and label your goods, and organise transportation. Some even process your returned goods and measure the performance of your inventory. However, the inclusion of all these services can often make distribution centres more expensive than warehouse storage. They are also more suitable for businesses with high or quick turnovers. Many businesses that use distribution centres will also need a facility that offers long term storage of their products before they are sent to a factory or distribution centre. Warehousing is more suited for products that require storage for longer periods of time. 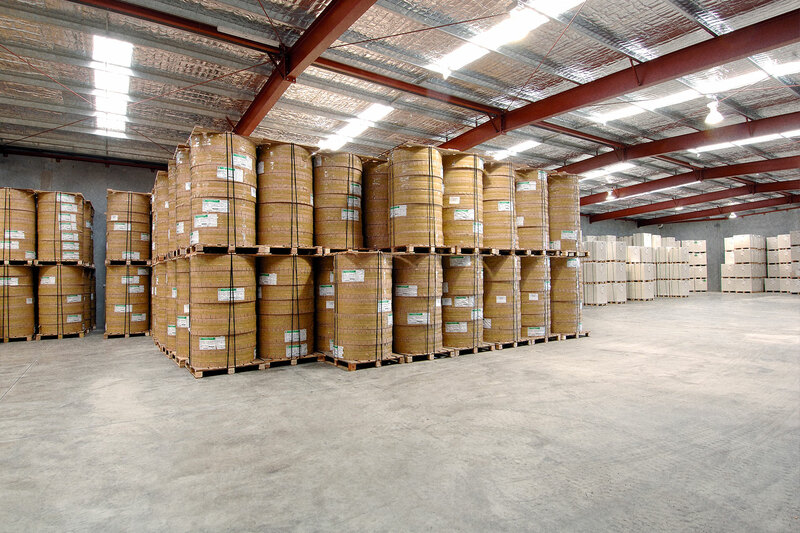 The main purpose of a warehouse is the storage of goods in a cost effective way. Inventory tends to move through the facility at a much slower rate than at a distribution centre. This doesn’t necessarily mean warehousing is only for products that need months or even years of storage, although warehousing is suitable for that too. Many businesses use warehouses when they have products that are not sold particularly quickly, or are made in advance and need somewhere to be stored. Many businesses also use warehouses as somewhere to store the bulk of their products, from where they regularly send large quantities to distribution centres or retailers. Warehouses generally do not offer the same level of high-tech value-adding services that distribution centres offer. To send your products directly to a consumer from a warehouse, they will have to be pre-packaged, and you would have to coordinate the order processing. However, Aussiefast’s warehousing services do also include full “pick & pack” services and container unloading, providing additional value to our warehouse clients. The flip side is that this means warehouses provide incredibly efficient and cost-effective storage solutions. They are also excellent for storing raw materials and intermediate goods to be then sent to manufacturing plants, or sold to manufacturing companies. At Aussiefast, we offer our customers the benefits of cost-effective warehousing combined with outstanding distribution and logistics services. Our custom-built warehouse facilities are safe, secure and will protect your goods from the elements. We also offer weekly stocktake services to help you keep up to date with your inventory levels. Aussiefast’s delivery services include both freight and courier vehicles that can transport your goods within Adelaide and also interstate direct from our warehouse. The tracking software installed in most of our vehicles and our online proof of delivery software will keep you more informed of your product’s whereabouts. Our flexibility and integrated services allow us to customise a warehouse solution to meet the needs of any business. For more information about our state-of-the-art warehouse facilities and distribution solutions call us on 131 770, or email us at info@aussiefast.com.au.